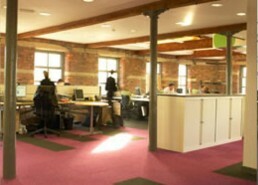 The Trust required the relocation of their community services which had been housed in the former St. Lukes Hospital in Huddersfiled owned by Calderdale and Huddersfield NHS Foundation Trust. 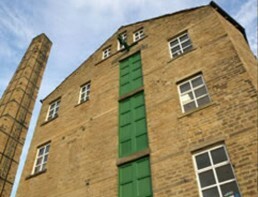 The Trust Strategy was to take up a tenancy agreement in the nearby vacant Folly Hall Mill in Huddersfield. 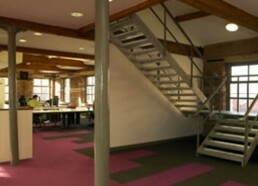 The project therefore allowed for a full refurbishment of former Grade II listed spinning mill to house community services. The project created specific areas for both outpatient activity and agile working provisions for multiple community teams. Within the development a new entrance area with waiting, cafe and reception was created and secure administration / records storage was formed. The project was procured via the P21 framework agreement in partnership with Interserve.